The issue, at hand, is not whether the government can take DNA from people convicted of a crime. 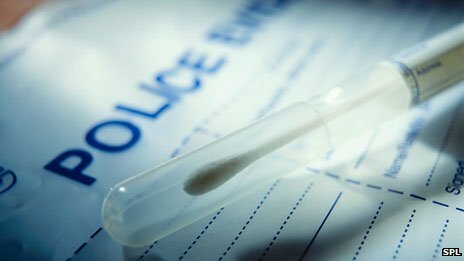 All states require DNA collection from individuals convicted of a felony. Instead, the issue is whether it’s constitutional to take DNA samples from people prior to their trial. The Supreme Court ruled: yes. What ever happened to innocent until proven guilty? That is supposed to be a foundation of the American judicial system. Innocent people are sometimes arrested and then later acquitted. Is it constitutional for the government to take an innocent people's DNA without their permission and hold it indefinitely? Absolutely not, that is a clear violation of the Fourth Amendment’s ban against unreasonable search and seizure. The majority opinion, unfortunately, makes the false claim that DNA swabbing is necessary to identify the suspect. But as Justice Scalia notes in his dissent, “These DNA searches have nothing to do with identification.” By law, DNA testing only starts after arraignment and bail decisions are already made. At that time, the suspect has long been identified. So what’s the difference between taking DNA and fingerprints? One is actually used for identification and one is not. Scalia says that DNA analysis can take months, while the “average response time for an electronic criminal fingerprint submission is about 27 minutes.” Clearly, it is unreasonable to wait several months before a suspect is identified. The government seems to think that it can search people without warrants, but the Fourth Amendment says otherwise. This is just one more horrendous example of the government trampling on our civil liberties. The Supreme Court made the wrong call and did not uphold the true intent of the Constitution. From the court that brought us the healthcare plan that was sold on the idea that it's not a tax...defended as legal in front of these very justices because it was a tax.....declaired legal by a bare majority of said justices on the basis that it's a tax. Is anyone that cares enough to follow these events REALLY suprised....?? And we still don't hear serious talk of impeaching justices and judges. People seem eager enough to talk of the more superficial and temporary solution of impeaching people like Obama. It will take a group of US to make this happen - not writing in to, or lobbying, congress members and preparing NOW for the next elections. By US, I mean people like whoever is reading this comment - because no one else is doing it. It starts with preparing cases, getting legal input and formatting, and creating an ongoing specific demands. Without specific goals, there is nothing to aim for and nothing will be changed. Of course the Supreme Court made the wrong call. They were placed in their positions to make the wrong call in order to justify actions their clout has taken or intends to take. But, I have also heard that DNA samples were and are being taken from every live, hospital birth in this country and stored in a central data bank. I could be wrong on that, but it sounds like something our government would do. Normally to sue in federal court, a plaintiff must establish standing. There are three requirements for establishing standing: (1) an injury in fact, (2) a causal relationship between the injury and the defendant’s conduct, and (3) the injury would be redressed by a favorable court ruling. The Necessary and Proper Clause is often called the “Elastic Clause” because it is believed to give Congress “implied powers” that government is assumed to possess without being mentioned in the Constitution. There is a problem with this view: a government that is able to expand its power through an “Elastic Clause” is more likely to abuse its power. Is the Supreme Court the Supreme Law? It has been assumed that once the Supreme Court issues a decision, the other courts in this country are bound to follow the decision for all future cases that fall within the announced rule. However, it can be argued that in most circumstances, neither the Constitution nor federal law requires other courts to follow the Supreme Court. Indeed, it has been the Supreme Court itself that has demanded that their decision be binding on future cases. This seems to be the type of usurpation of power is the type our Founders detested and the Constitution was meant to prohibit.